1. for pastry. Combine the thyme leaves, flour, sugar, salt, and butter in the bowl of a food processor. Pulse until the butter is the size of small peas. Add the egg yolk and pulse to combine. Add the water, one tablespoon at a time, pulsing between each addition. Pulse just until the dough holds together when pressed between two fingers. Do not overmix. 2. Remove the dough from the food processor, form into a small, flat disc, cover tightly with plastic wrap or parchment paper, and refrigerate for at least one hour. The dough should be firm to the touch. 3. Preheat the oven to 425° F. On a lightly floured surface, roll the cold dough out to ⅛-inch thickness. Transfer to the tart pan, press in the bottom and sides, and prick the bottom a few times with a fork. Return the pastry to the refrigerator if it has softened. 4. Line the pastry shell with a piece of parchment paper, fill with pie weights or beans, and bake for 13 to 15 minutes. Remove the weights and the parchment paper, brush the insides of the pastry with a small amount of egg white, and return to the oven for 3 to 5 minutes more, until the crust is golden brown. Remove from the oven and let cool completely on a wire rack. 5. for pastry cream. Combine the milk and heavy cream in a small saucepan. Split the vanilla bean lengthwise and scrape the seeds into the milk. Add the pod. Heat the milk and cream brûlée tart over medium heat until just barely simmering, before it boils. Remove from heat. 6. In a medium saucepan, whisk to combine the flour and sugar. Prep the egg yolks in another heatproof bowl and whisk briefly. Over medium-low heat, add the milk and cream to the flour mixture. Cook, stirring and scraping the bottom of the pan until the mixture has boiled for about two minutes. Slowly temper the egg yolks by gradually pouring a small amount of the hot milk into the egg yolks, whisking constantly. Once hot, add the yolks to the saucepan. Continue to cook, stirring constantly, until the mixture has reached 170° F and is very thick. Do not let it boil. Remove from heat and press through a fine mesh strainer. Cover and let cool completely in the refrigerator. 7. Once cool, stir briefly and then spread into the tart shell. 8. for apricots. Cut the apricots in half and arrange on the custard. Just before serving, sprinkle a thin layer of turbinado sugar on the apricots and caramelize with a blowtorch or under the broiler. Top with a few fresh thyme leaves. Serve immediately. Pastry cream recipe adapted from Chez Panisse Desserts. 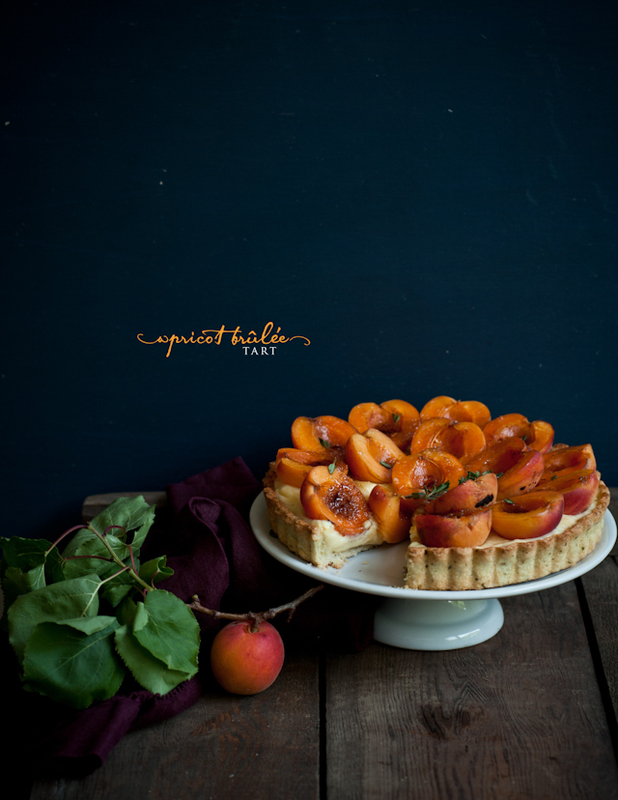 Beautiful memories and words for your grandmother and this tart is to die for. what a lovely post. 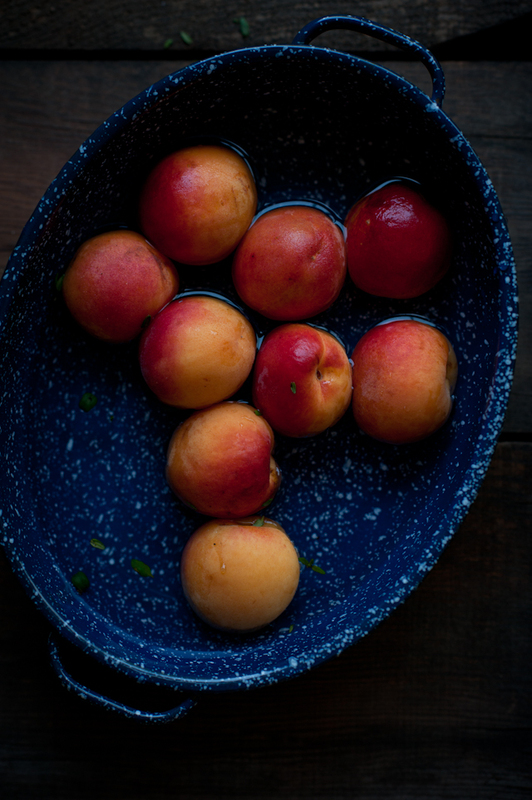 beautiful fruit, beautiful dessert, beautiful memories and as usual beautiful photos. Oh my goodness. How beautiful is that tart? Not as beautiful as your grandmother. What a lovely story. I just worked up some Apricot Jam this week. They are such a perfect fruit and your tart just compliments them wonderfully. Grandmothers knew what was important before we all got liberated don't you think? Wonderful post. Thanks! That was a really moving narrative. Thanks for sharing it. Thank you for sharing your thoughts and memories and this recipe. 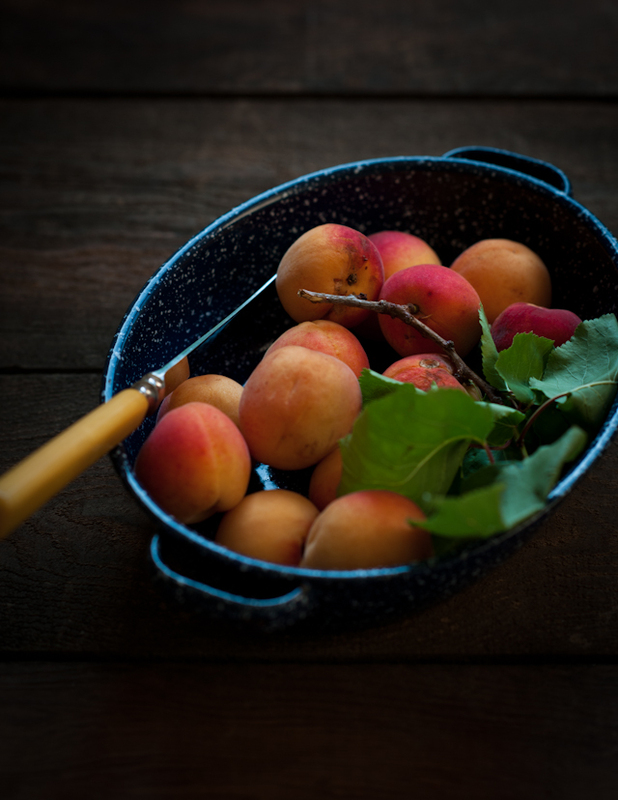 We also had one of those apricot trees that produced an abundant crop only some years and when it did they were the most wonderful apricots we ever tasted. 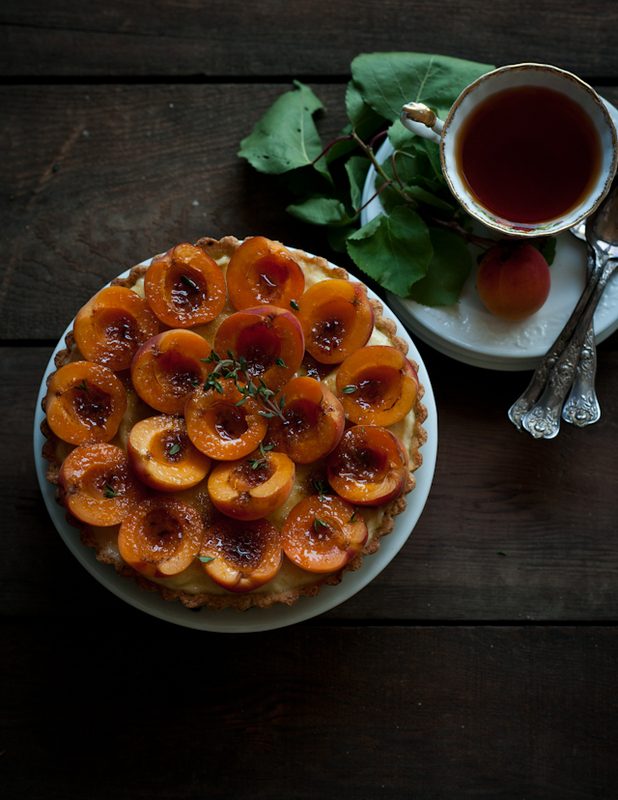 Apricots were also my mothers favorite fruit and she always made an amazing pie. So like you, there are happy memories concerning apricots. I'm excited to try this yummy recipe and make new happy memories with my family. Missing my precious mom and my apricot tree. 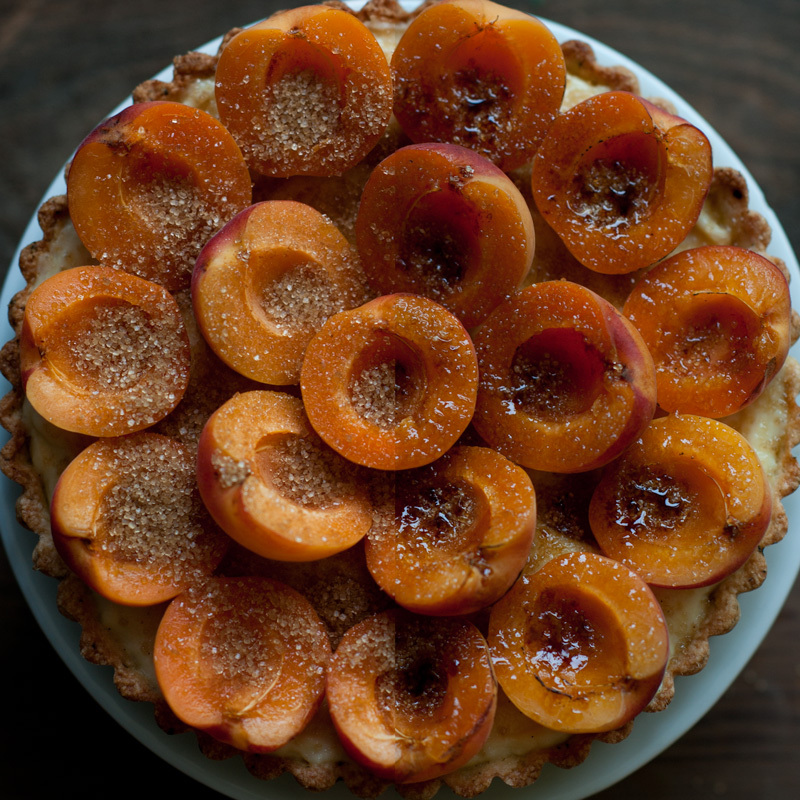 I need to make something with apricots asap while they're still around. 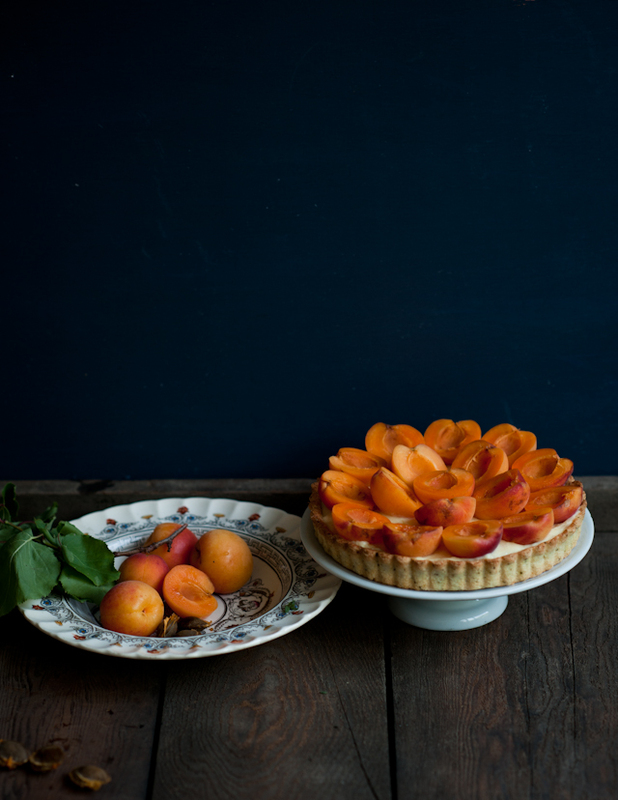 This tart looks absolutely beautiful and I bet it tastes so much better for having home grown apricots in it! Nothing quite like apricots from the family tree, is there!? 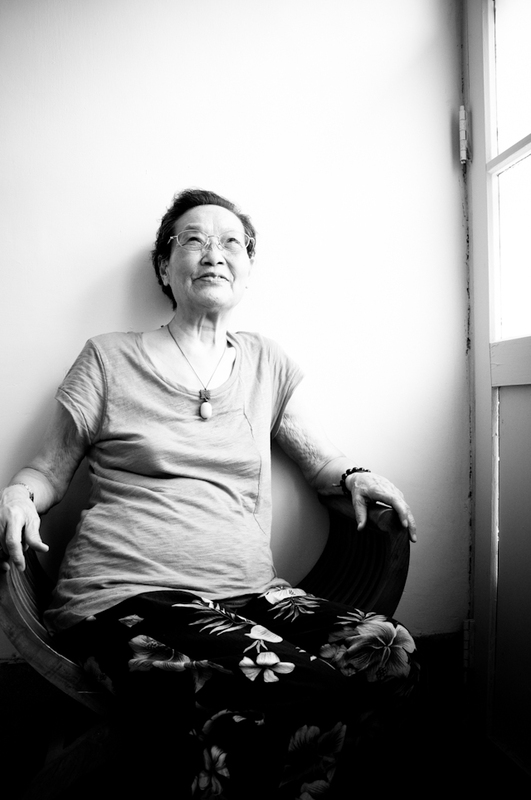 Love this post, your family memories, the photograph of your grandmother and the recipe. A great package, and your photos are beautiful! a beautiful and thoughtful post! my grandmother was a special person in my life and this reminded me of her and her fruit and vegetable garden and her lovely tartes. Thank you! This tart is fabulous! I've been bruleéing everything lately, love it! 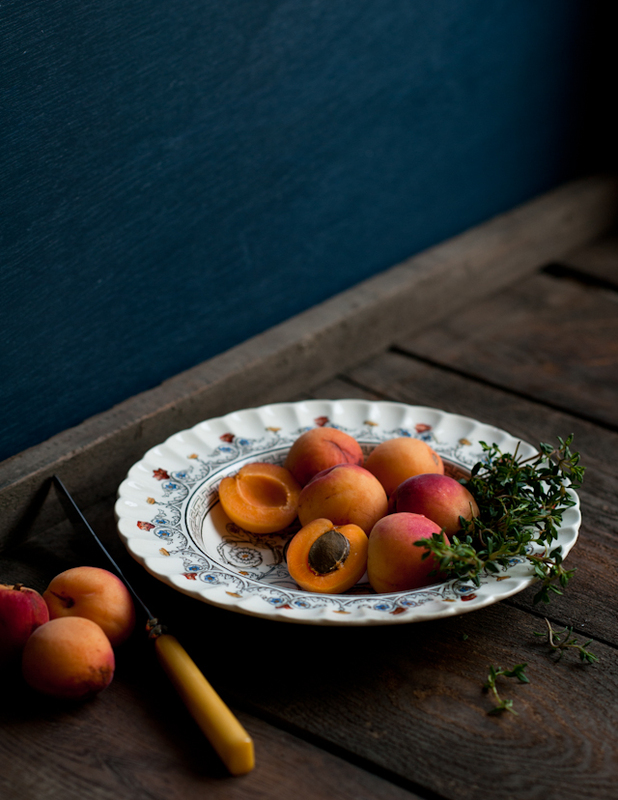 The apricot + thyme combo is inspired. Your pictures are beautiful. So great, my mouth watered looking at them! I personally had never thought of combining apricot and thyme to make a breakfast dessert, but it looks amazing and I can't wait to try it. I've been 'sighing' over this beautiful tart for a week now. 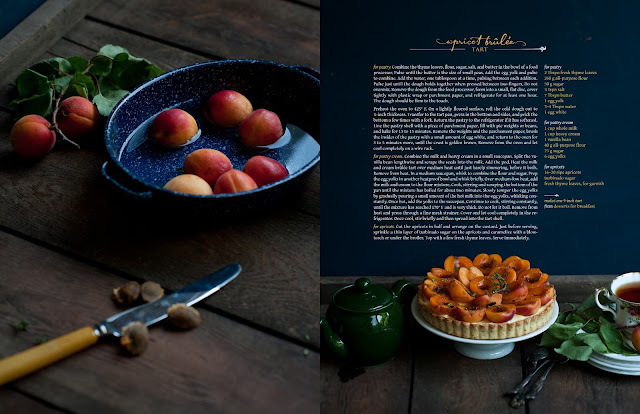 Your photographs and your story of your grandmother made me all teary eyed...I want you to know that I wrote a bit about it on my blog 'thyme' I made the tart but our apricots didn't look healthy so I went with plums. I loved the thyme in the crust. 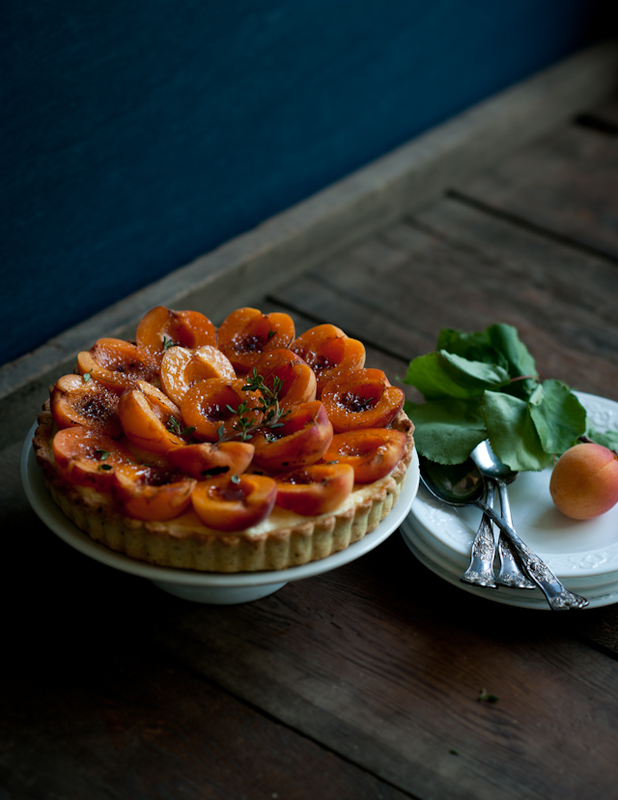 I'm going to make the tart again this weekend for my in-laws who are coming in for the weekend. It was also really fun to brulée the fruit! Thank you for your inspiration.